White Mastery's Historical Theory "View From A Reader & Writer"
"Submission, suppression, oppression, repression, depression, subversion, perversion, exclusion, allusion, confusion, and downright delusion, my question this afternoon is simple and sane. When will all the black communities in this supposed nation of rights stop getting all these legislative slights. When can we enjoy a people's progression. We are so damn tired of community devastation. We are certainly in need now of a people's elevation which will mean obvious outward signs of humanity's elation and no further need for any social placation." 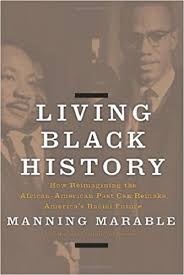 Manning Marable's "Mastery Historical Theory" is tremendously powerful explained thought process, it enlightens as well as provokes thought. Dr. Manning ascertains that in order for white instituitional supremacy to maintain control and power, it must always constantly elevate "whiteness". While at the same time also must do all it can to eradicate all signs of "blackness". In addition the white instituional supremacy has to totally mask any indication of harm inflicted to those people of color. That means any strategic methods of oppressive acts must be shielded so that the mastery theory is blanketed from a negative light. Hence, any act of oppression or physical oppressive act directed at those of color is hidden from the historical narrative while acts of patriotic heroism in history are highlighted and contributed almost exclusively to white people. So that both whites and blacks are both conditioned to see value in white contributions to history. While at the same time value is minimized when attributed to people of color related to historical contributions. In addition, all acts of violence directed at people is ignored, or erased as if they never occurred in the historical narrative. That's why it is imperative that each person of color take his or her own journey of discovery of history. In that way you avoid the many educational traps that discourage a true understanding of thier own black history. Read, read, read to comprehend your past and build your future.